Can Alexandria's employees afford to live here? The National Low Income Housing Coalition released it's 2018 Out Of Reach report, detailing down to a zip-code level what hourly wage one would need to earn to not spend more than 30% of their income on rent*. 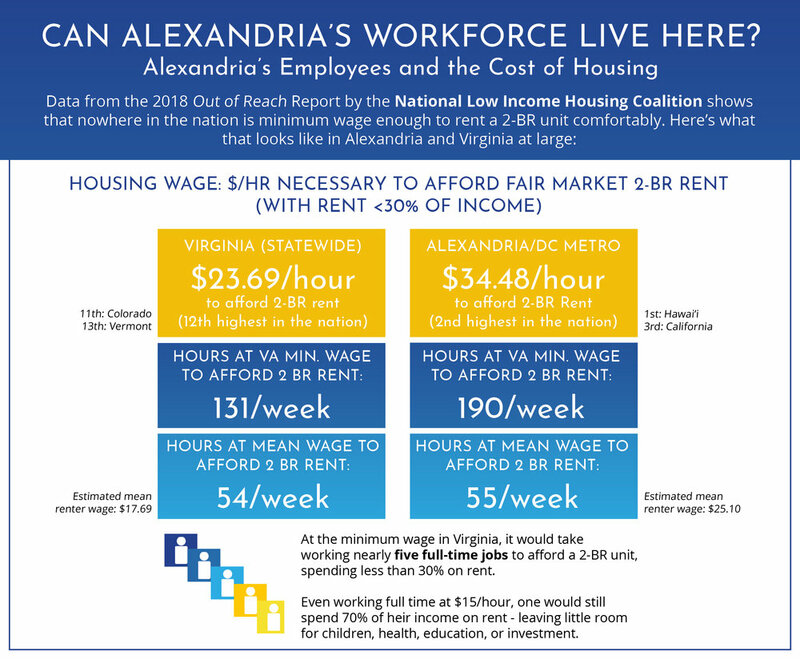 As a high cost-of-living area, Alexandrians would need to make $34.48 hourly to afford rent without compromising their monthly budget, which is the second highest housing wage in the nation. 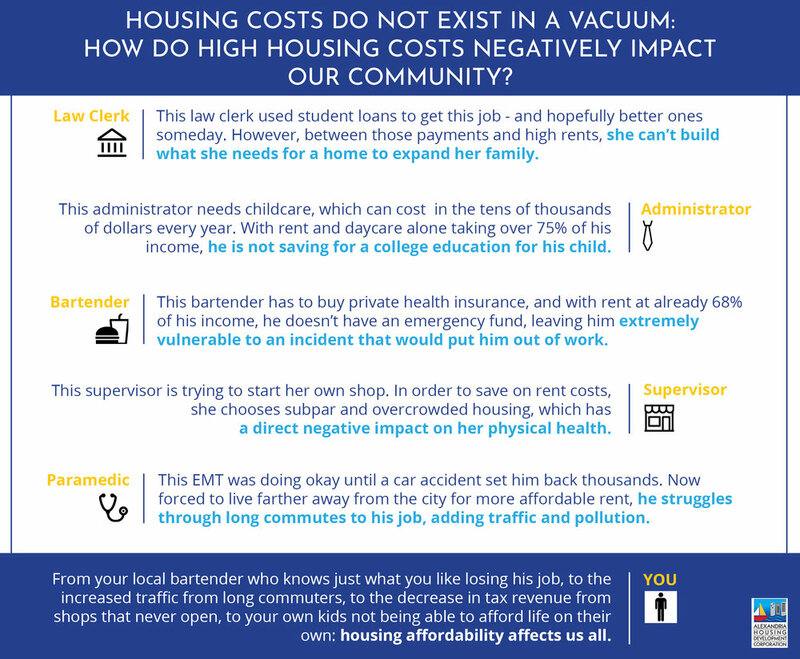 Furthermore, Alexandrians' rents are affected by the economics of the entire D.C. metro region, but their incomes are still subject to the Virginia state-wide minimum wage - meaning that Alexandrians earning Virginia minimum wage would need to somehow find a way to work 190/week to not spend more than 30% of their income on rent. At $15 an hour, it would still take roughly 97 hours a week to afford rent. Take a look through the images below to see some analysis on what this means in our very local context, and be sure to check out the most recent Out of Reach report to see what the housing story is nationwide. *Rent is based on the Fair Market Rent, as established by the Department of Housing and Urban Development. Want to learn more about affordable housing, Alexandria housing, or AHDC specific updates? Sign up for AHDC's monthly newsletter to be subscribed to our monthly mailing list.